Andrei Iliushkin is currently studying at the Royal Academy of Music, London, with professor emeritus Christopher Elton. He is the winner of many International competitions in Russia, Italy and the USA. Andrei has had the opportunity to perform as a soloist with the symphonic orchestras of Moscow, Rostov and Yaroslavl. In 2009 and 2011 he was also invited to perform recitals in Norway. In recognition of his achievements Andrei was honoured to give a recital in Tchaikovsky’s house and play the piano of Tchaikovsky. As a scholar of the Vladimir Spivakov Charity Foundation, Andrei has performed concerts in Holland (Peter the Great Festival, 2013 and 2014), Germany (ClaviCologne Piano Festival) and participated in the Baikal Christmas Festival (Russia, 2014). 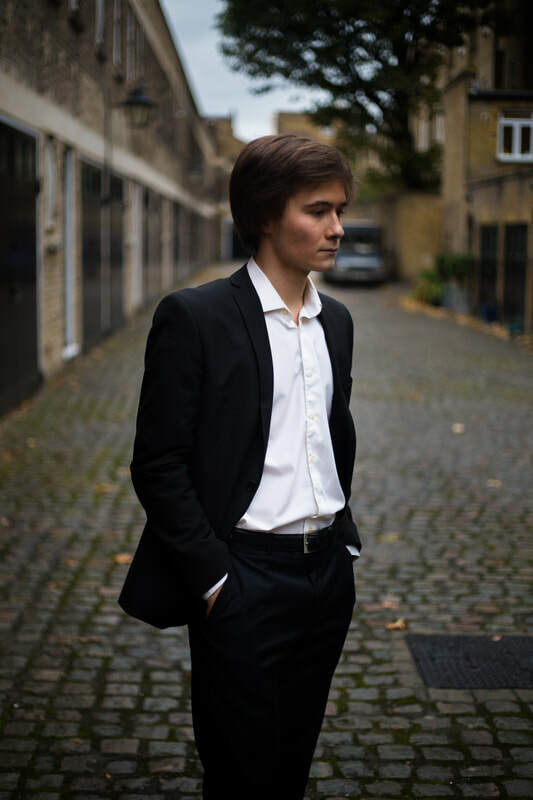 In October 2015 Andrei had the opportunity to perform at the Wigmore Hall, London, as a finalist of Jaques Samuel Piano Competition. In August 2016 Andrei played in pre-selections of the Feruccio Busoni Piano competition and was accepted into the finals. He is the winner of the Lillian Davis Beethoven piano competition and Sterndale Bennett Prize as well as the Intercollegiate Beethoven Piano Competition organised by the Beethoven Piano Society of Europe. In January 2017 Andrei became a BBC Classical Introducing artist. As well as performing solo concerts he is also interested in chamber music and continues to perform with different chamber ensembles at the RAM. In February 2017 Andrei was honoured to perform Brahms’ Piano Quintet with Maxim Vengerov in Duke’s Hall of RAM.